Hi there! 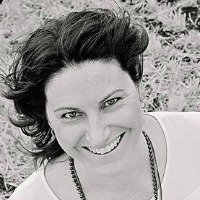 It’s Rachel Rossi again! If you loved the Timber! Quilt, then I’ve got a special treat for you; It’s a special little accessory to go along with your Timber! quilt that your little one is sure to love! It will take them for miles and miles of adventure without ever leaving your home: it’s a perfect little reading pillow. Complete with curious bears, singing birds, and pockets galore! 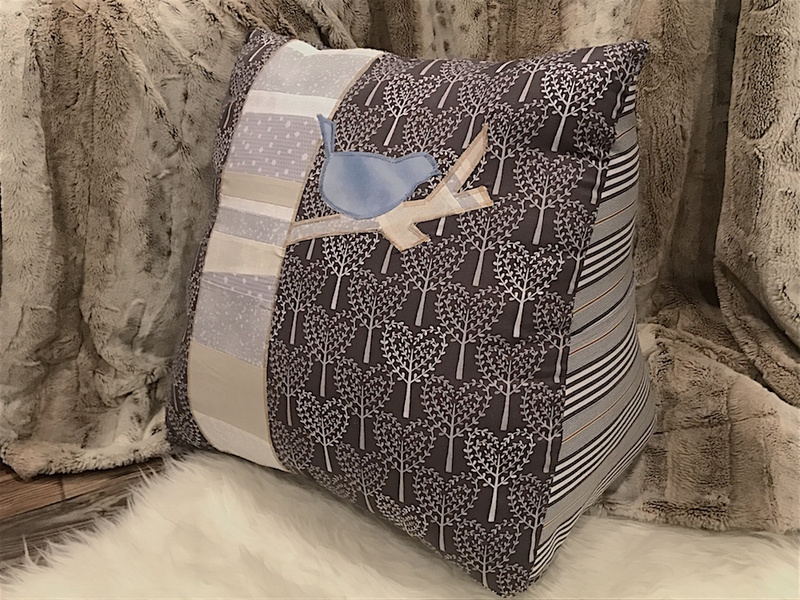 This pillow not only gives you a place to lean and cozy up with your favorite book, but also a place to store your current books, pencils, bookmarks, and maybe even a few small treasures. As soon as I saw the sneak peeks from this issue I knew exactly what I wanted to do with the pattern to hack it, to accommodate some smocking into the centre front panel. I have what you would call a love/hate relationship with rayon lol!! It looks great, it drapes beautifully but oh gosh, its got a mind of its own. If I had thought about it before getting so excited, I probably would have smocked a little on the back as well – but that can be for the next one I make. The Thyme Vest is an anorak style vest for boys or girls. 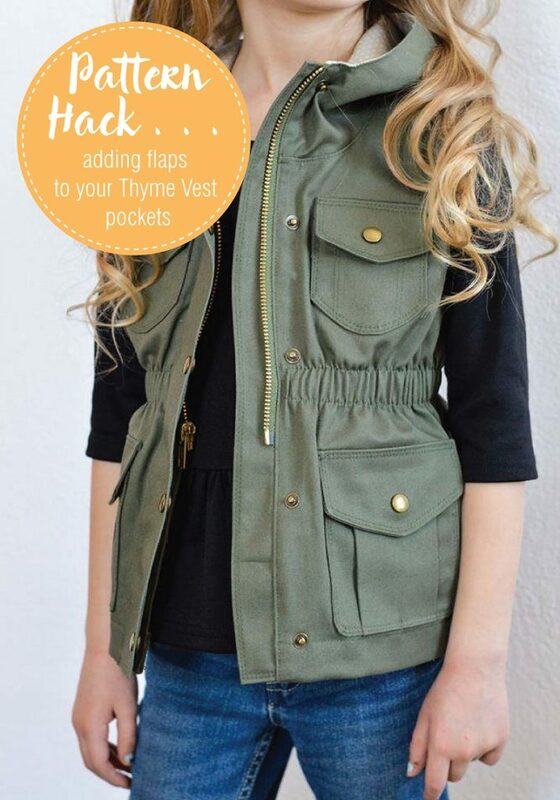 This pattern hack will show you how to give your Thyme Vest a new look by adding pocket flaps. Etched with a bohemian vibe, Little Moo Designs patterns are created for levels from beginners to intermediate. Kylie believes a new outfit is an excuse for a new handbag, and what better way to personalise your outfit than sewing your own unique bag or clutch. Kylie contributed the Sakuro Clutch to One Thimble Issue 13. 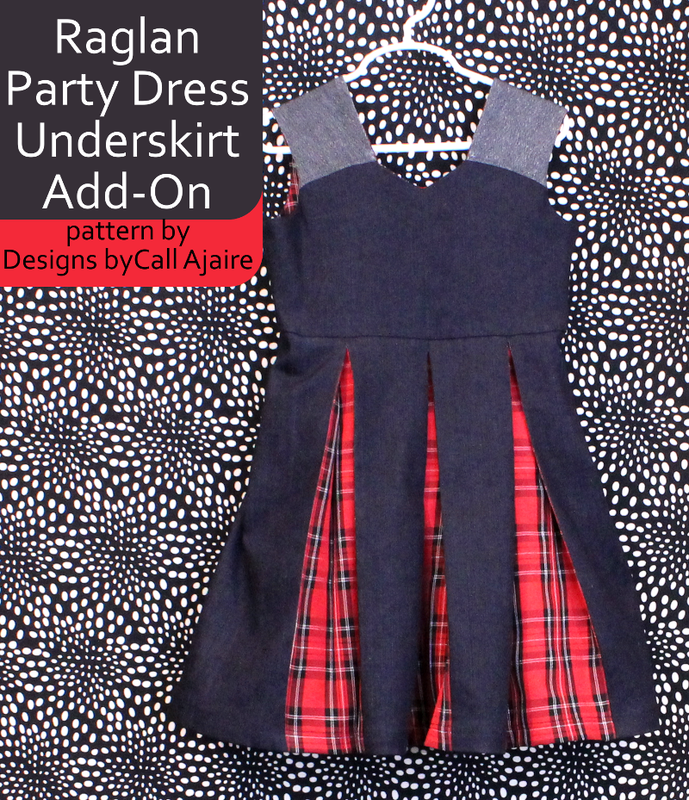 I’m Ajaire from Designs by Call Ajaire and I’m excited to share with you a free underskirt add-on for the Raglan Party Dress from One Thimble Issue 13! The underskirt is attached to the bodice lining and the rest of the dress is exactly the same as in the main pattern so it’s a perfect supplement for the upcoming holidays. Add in a bit of tulle to the bottom of the underskirt and it takes this sporty dress up a notch and turns it into the perfect party dress.